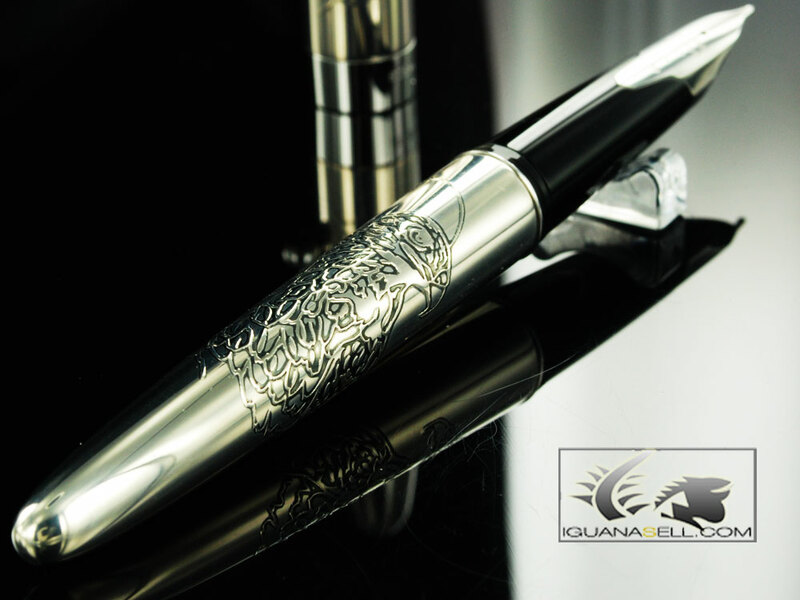 Iguana Sell Pens | Namiki Sterling Silver Collection! As soon as fountain pens became widely acknowledged as superior writing instruments in which performance, beauty and style were carefully combined, different lines in precious metals began to appear among the most luxurious pens. Sterling silver soon became the favourite precious metal to make luxury pens, due to its beauty and the elegant yet humble character it gave to these writing instruments. Continuing an old tradition, Namiki pens has created its own Sterling Silver Fountain Pen Collection. 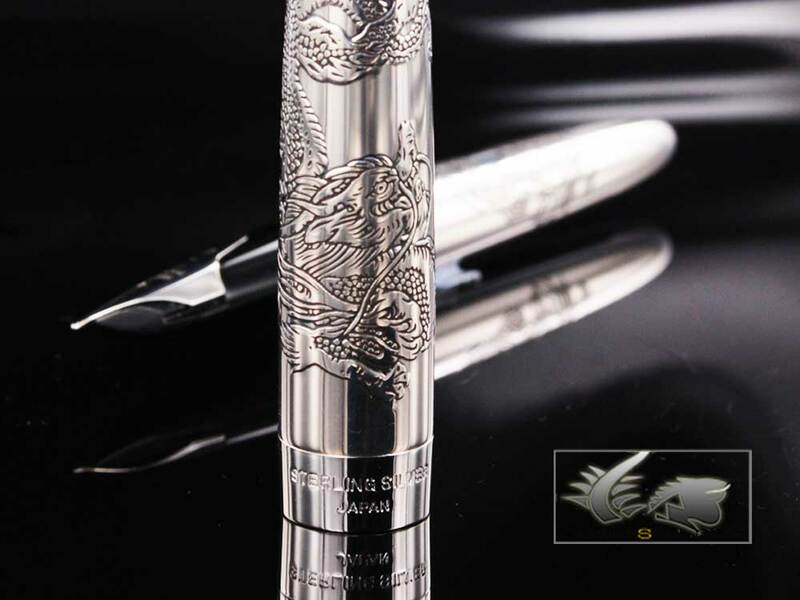 These beautiful pens are completely plated in Sterling Silver and the engraved designs are 100% hand-crafted by Japanese master artisans. The pens include a Namiki Pilot converter and an 18k gold nib which is mounted on a rounded grip section, which gives the pen the aspect of being one solid piece. The different engravings represent important images of Japanese tradition: animals, places and nature. The Dragon, for example is an ancient mythological symbol which the Nippon culture inherits from their Chinese ancestors. This creature represents strength, will and wisdom, among other things. The Dragon is present in many cultural traditionsand celebrations. The hawk, a more common animal, has played an important role in almost every society. Falconry has been a very valuable skill in the middle ages, and was especially developed in the oriental cultures. Last, but definitely not least, comes Mt. Fuji. The snowy mountain is one of Japan’s most extended icons. This mountain recalls the peace and harmony of the island’s Zen philosophy. This design includes a large wave, which captures the crucial importance of the sea for the Nippon culture. 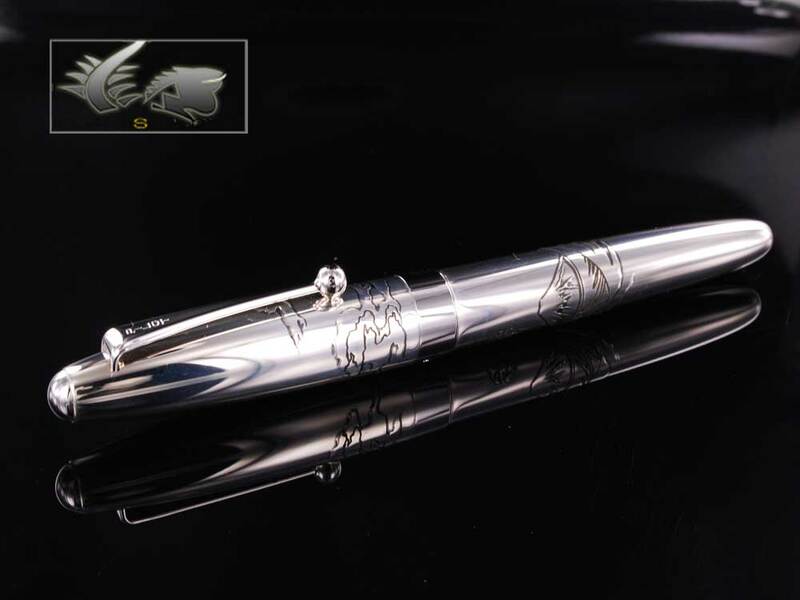 These beautiful pens are delicately finished in elaborate engravings on the sterling silver surface of the pen. As well as a tribute to the ancient Nippon culture, they offer a wonderful writing experience due to their beauty and comfort. Available now at Iguana Sell! Contact us for more information!